-As the game progresses, give the AI increasingly more powerful units over the player, thus requiring some strategy to take them down. -Greatly improve the performance of large monsters. -Deny player access to recruiting high tier units. What this means is no longer can you use leaders to recruit high tier units, get them from neutral encounters, nor get them from the Charm item (they are immune). High tier units must be gotten through class progression. The reason for this is it was necessary to increase the difficulty later on in the game. -Performance of str chars has been slightly improved relative to int chars, though you can still expect the backrow to out-power the front row. -Performance of special characters has been slightly lowered. -The following items are now unbuyable: Joker, Charm, Sunshine, Moonbeam, and permanent stat boosting items. 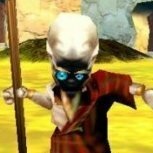 -Some low tier EQ can now be bought in shops. -The crappier half of the game's equipment has all been improved. Hi, new member of the community here and I wanted to share some thoughts on this project that might be of interest to someone thinking about playing it. I understand that the author is working on a new hack of Ogre Battle but it is not fully complete yet, whereas this one is (I think). This may contain spoilers; I assumed that anyone reading this would probably be someone who has played the game before, but that may not be the case. -lack of dependable retreat significantly increased the need for tactics and unit choice, as well as diversification in unit types that I had previously found unnecessary. For example, in all previous playthroughs my units tended to have gryphons, hawk men, and wyverns in them to achieve good movement in all units. Now, the restrictions this placed on what my units were able to do appeared untenable, which was fun! I used units I've never even looked at before. -I underestimated the AI at first, garisonning my cities with just one unit and not paying attention to what the incoming formation/units were. I had a city taken for the first time in a LONG time. It was cool though, it made me say "ok, I better pay attention to whats going on." Which is how a leader should think I guess...? Again, the emphasis on strategic necessity feels light years ahead of the vanilla game. -the AI showed the ability to strategically target unit leaders, which is far more difficult to deal with due to the far more expensive price for resurrections. Not only does this make sense within the game world (There is even one guy in a temple somewhere who says to "watch your pocketbook"), but it forces the player to strategize more and, along with the retreat option being unavailable sometimes, creates exciting drama! -there was one moment where I was heading off a unit by leading them with another of my units, and the unit changed direction, apparently in response to this. I immediately thought "uh oh" and had to reprocess the battlefield based on the change. A great moment as if playing a board game with a skilled opponent. -I noticed that amazons were noticeably better, and lethality in general appeared to have been increased. The kicker was that the AI appears able to replace units forever, while a unit death for the player is a big deal now. -The reputation system appears to require more of the player, although this could just be a result of the AI being more proficient at disrupting a player's reputation gain by taking cities and killing high ALI units and such. *BUG QUESTION* I'm not sure if this is a bug, but I noticed that the unit's alignment does appear to matter when taking hidden cities. -sadly, I was drunk when I played these stages and I have no recollection of them. I noticed after I loaded the save the next time I played that I had apparenly rushed the leaders, because my units were significantly underleveled for the next few stages. Also, either I managed to conquer every town and temple ad get every treasure while rushing the leader with enough units to kill them or towns are now auto-liberated and treasures disappear when you beat a stage. I haven't had the chance to confirm either scenario, but I find it VERY unlikely that I managed to conquer the entire area while still rushing the bosses. -Ghosts can apparently no longer carry werewolves. I took this as a note that unit "weights" had been adjusted. While significantly less awesome (I always imagined the ghosts dropping the werewolves onto the foe lol) it makes a world more sense this way. The changes to unit weight I noticed encouraged unit diversity. On another note, one hawkman can still carry four human allies, which is also a kickin' rad mental image. General observation - Units now cost nothing, which at first diminished the need to take cities for me. In the first three stages or so, I just found the best chokepoint, left a couple units at HQ, and sat on a town switching units out to chew through their forces. However, eventually I noticed that Tarot cards matter more. Their desirability has increased to the degree that for me, they were enough incentive to take towns and risk additional vulnerability. The ability to block magic or do additional damage with cards replaced the frequent use of items and revives that occurs in the vanilla game for me. As is the theme, strategic thinking is encouraged because tarot cards are more useful, but also very limited. I'm unsure if these system interactions were planned by the developer, but if they were, bravo. I sat looking at a paused battle screen several times, contemplating my options before burning a tarot card. -As I mentioned, my units were underleveled at this point due to my drunken buffoonery. This made it extremely noticeable when that one unit led by a wizard with two fire giants in the front row absolutely kicked my face in. Just destroyed everything I threw at it. I eventually managed to get past them when I got lucky and drew Justice and Sun cards, which allowed for kills on these units. I walked away from this with two obervations. 1) The amount of attacks units get have been altered significantly; these flipping giants had four attacks, and each one did half of one of my units health in damage. 2) Each stage seems to have "elite" units. This was the first one I noticed it in, but in Slums of Z and Avalon there appeared to be elites as well, units that performed well no matter what, and generally required 3-4 units or tarot cards to take down. They appeared to funciton as mini-bosses, and generally provoked a reaction from me as the player whenever they appeared. Although challenging, they enhanced gameplay for me by breaking up the montony of holding cities by having to shuffle up my formations to cope with the elites. -Special boss characters appear to go through an attack rotation now. I think it was Debonair's second attack that was capable of obliterating most of my unit leaders. This had an interesting feeling to it due to the nature of battle in OB. Since I can't control units directly, I had to time retreats and tarot cards to some degree to deal with the overpowering boss attacks. Bosses generally seem to have gone from regular units with special sprites to dark souls-esque titans that require an army to take down. A side effect of this for my play was that a stage posessed an extra stage of movement at the end in which I surround the boss with my units as if seiging the enemy HQ, and then ordering a charge, which may or may not work. Without save states, this style of play would have been untenable, as invariably half my army gets slaughtered and the success rate was pretty much 50/50 (with Debonair and Gares as example cases). -*POSSIBLE BUG* This may have been an emulation problem (I was playing on a modded SNES classic), but I had to restart from an earlier save once when Debonair used one of his attacks. I think it was the second one in his rotation, and it scrambled the screen to an unplayable state (but did not crash the game). -Noticed new behavior from some enemy flying units in which they appeared to garrison faraway cities. Although they were pushed off in short order due to lack of support, it was interesting to see. I also saw land units attempting sea travel without being pushed into the water by a combat loss, which I had never seen before. -I had undead units at this point, and I had the thought on this stage that maybe holy magic no longer has a miss chance because I hadn't seen a holy attack miss an undead unit since their introduction in Pogrom Forest. Still not sure about this. -I got a lucky princess crown on the previous stage, and Aisha was crowned on this one. The change to princesses where they don't increase their own attacks is a good one (as well as the shaman class requirement). Their increased number of attacks highlights a point I've been meaning to make, the utility of switching formations on the fly. I had never had to do that in vanilla, but now there is a lot of strategic choice in switching up the unit's formation just before entering battle, depending on what you are facing. Unit efficacy appears to be much more a factor of strategic choice on the player's part rather than unit levels or stats, which is pleasant, for the most part. -This is where I'm at currently. The lack of all flying units really hurts on this stage. The units I can get across the sea have been overwhelmed several times and I've had to start over each time. One battle kills (on my units) with many of the enemy's unit formations are common, and this is the first stage I've found frustrating due to the difficulty of recovering from these. Some things I haven't tried yet are switching living soldiers between units to maintain full unit formations, and shuffling my powerful items around at each fight to acheive the best possible results. The reason I haven't tried these is that, although they might work, they don't seem that fun. I decided to take a break for a bit and retry later, but I wanted to post my thoughts for whatever purpose they might be useful. Overall, I've had a great time playing this hack and I can say it is a multifaceted improvement on the vanilla game.